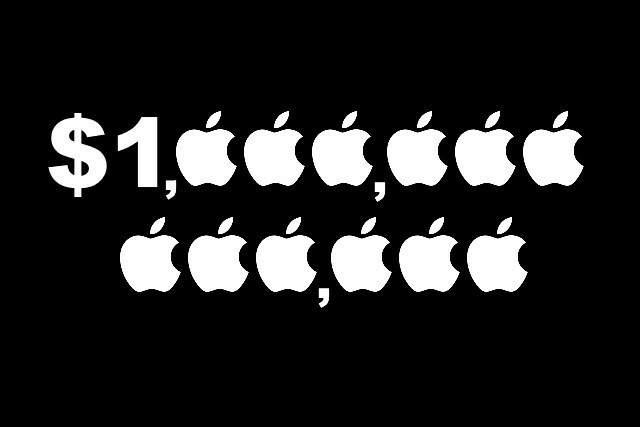 On August 2nd, it was announced that Apple had reached a TRILLION DOLLAR COMPANY!! While I know that some people think Apple is just a money sucking machine, as an entrepreneur I cheered and screamed!! You see when you are building a company from the ground up, its important to not only surround yourself with those that believe in you, but also find companies and other entrepreneurs you can look up to. I felt like Apple’s win was also my win, and a win for ALL entrepreneurs. But here’s the thing – I had a conversation with a friend about the fact that Apple isn’t the “better” phone but 2nd in line to Samsung. Now Im a diehard Apple user, but I had to agree. Samsungs technology is ahead of Apples and that darn camera on their phones is absolutely amazing… but guess what? The Apple BRAND is on point!!!!!!!! Apple has built a rockstar brand in the marketplace that causes apple fans to “Never Leave Home” even though we know that Samsung is a tad bit ahead of us. Now some Apple users won’t agree and may try to crucify me online because of this, but at this moment I am typing on a MAC listening to my IPhone 7+ make noises from Facebook Messages… so don’t be hating on me, Im in it to win it. Short Version – Apple is a great company to study as it pertains to building a brand, indentifying your target audience and serving them for a lifetime. CLICK HERE Watch my video from this morning where I discussed this in detail.